When will be Captain Nice next episode air date? Is Captain Nice renewed or cancelled? Where to countdown Captain Nice air dates? Is Captain Nice worth watching? Captain Nice is an American comedy TV series that ran from 9 January 1967 to 28 August 1967 on NBC. Reruns aired on Ha! (Comedy Central) in 1991. 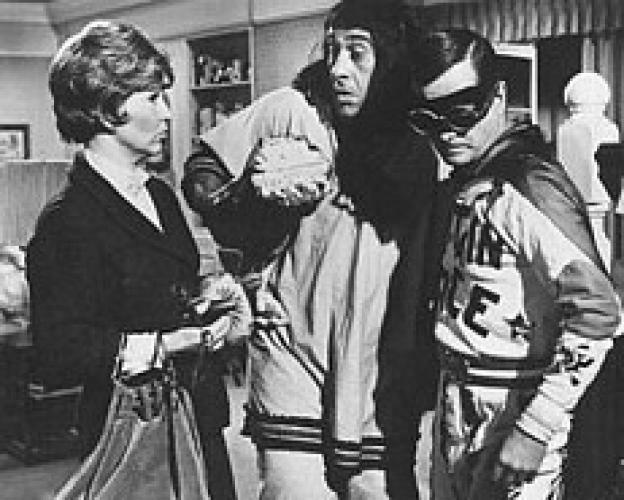 Riding the tide of the camp superhero craze of the 1960s, the show's premise involved police chemist Carter Nash (William Daniels), a mild-mannered mama's boy who discovered a secret formula that, when taken, transformed him in an explosive burst of smoke into Captain Nice.Captain Nice didn't behave much differently from Carter. In fact, the Captain ran around in a white, red, and blue pajama-like costume, complete with cape, lovingly sewn by his domineering mother who had basically bullied him into his crime-fighting career. He was christened Captain Nice on his first appearance by a bystander who noticed that his belt buckle was monogrammed "CN." On that occasion the explosiion that transformed him blew off most of his clothes, leaving him in long underwear and with the remnants of his shirt suggesting a cape.His superpowers included superhuman strength, invulnerability and the ability to fly, but he was nervous about doing the latter as he was afraid of heights, and his natural clumsiness was increased exponentially whenever he drank his super serum. Carter had a would-be girlfriend in the police department, meter maid Sgt. Candy Kane, although he seemed mostly oblivious to her obvious attentions. Captain Nice next episode air date provides TVMaze for you. EpisoDate.com is your TV show guide to Countdown Captain Nice Episode Air Dates and to stay in touch with Captain Nice next episode Air Date and your others favorite TV Shows. Add the shows you like to a "Watchlist" and let the site take it from there.